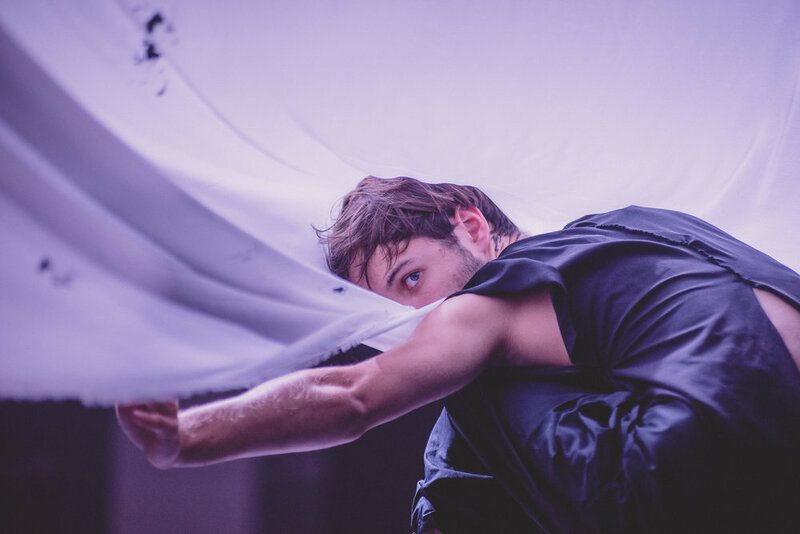 明珠在掌 - Treasure Within Your Palm - was an unique collaboration of Japanese calligraphy, Lithuanian contemporary dancers and music, celebrating the cultural heritage and its evolution in modern society. Celebrating the 100 years anniversary of the independence of Lithuania and 10th anniversary of nowJapan Festival, I've worked on a special performance piece in collaboration with dancers from Dance Theater PADI DAPI Fish, a Lithuanian contemporary dance company based in Klaipėda, accompanied by Marius Sakavičius, Vilnius-based cellist, and original sound composition by Corey Fuller, Tokyo-based sound artist on both days, on September 8th and 9th at Vilniaus Rotušė (Vilnius Town Hall) in Vilnius, Lithuania. 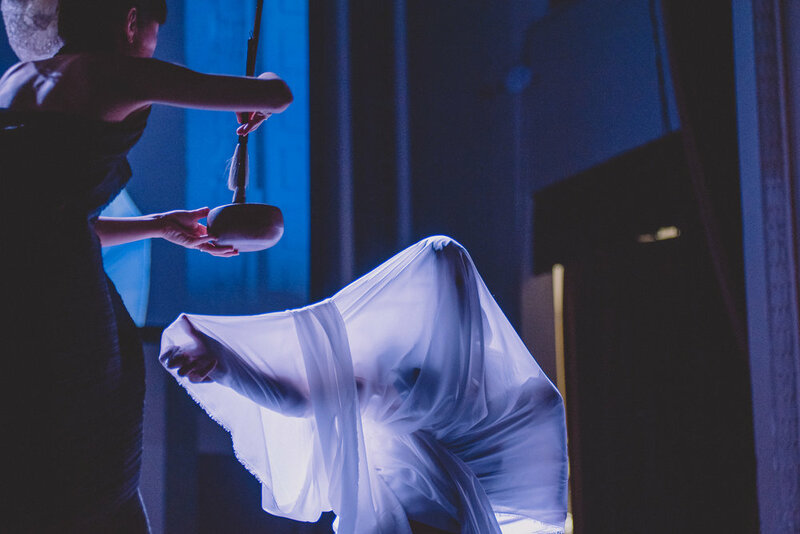 Inspired by the idea of independence, this collaborative performance explores the stages of our lives to search for “self” in three segments: journeys through the past, the present, and the awakening. 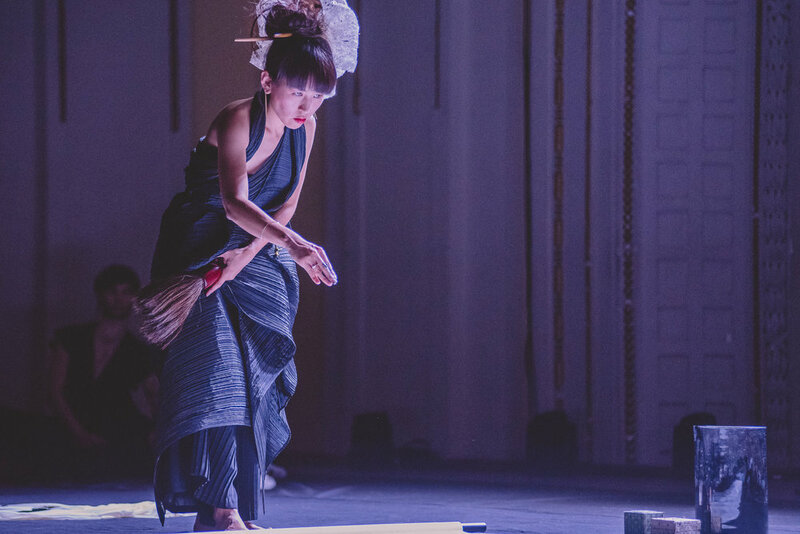 Through the collaborative process, Aoi sought and learn how the idea of individual, community, society, and country differs from one another, and shares the similar value with one another, and to transform this cultural discourse into an artistic expression.